We collaborate with our customers to analyse and define requirements and issues related to the treatment and processing of plastics. Therefore, we consider processes, processing methods and raw materials as parts of a fully integrated system. Polymerwerkstatt utilises data analysis as a basis for the development and production of custom-tailored materials for plastics processors. As a result, our customers gain tangible benefits from the sophisticated solutions. We rely on sound, research-based data and the rich experience of an international network of experts to provide the foundation for the development of our materials. Testing of material properties takes place in external partner laboratories. The integration of technically sophisticated, customer-specified properties is rendered possible by an independent and unrestricted material selection procedure. Polymerwerkstatt’s core competency is rooted in its ability to form optimal combinations of raw materials. This allows our customers to enjoy the benefits of efficient structure-property relationships and higher cost-benefit ratios. The varying visual appearances of plastic products are determined by complex combinations of gloss, transparency and colour. These properties are dependent both on the choice of raw material and on the processing parameters deployed during production. Polymerwerkstatt strives to exploit raw materials’ most advantageous properties at all stages of the procedure, from creation of the formula right up to the production. 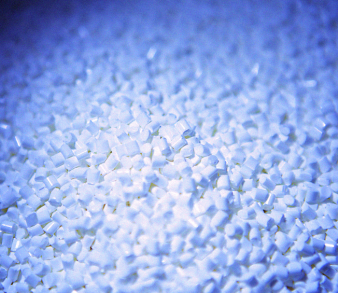 Use of additives provides opportunities to affect the stiffness, strength, hardness or shrinkage of plastics under consideration of its required processing temperatures. For us, special requirements such as UV stability, abrasion resistance or above-average gliding properties are just as realisable as those such as good adhesiveness and dimensional stability at high temperatures. The virtually unlimited number of possible modifications to these additives facilitates the realisation of even the most complex and sophisticated of solutions. We combine all the options and resources available to develop high-quality, custom-tailored plastics. The ecological footprint of plastics is an issue that’s particularly close to our hearts – that’s why we collaborate with university and non-university partners to reduce carbon dioxide emissions. Our efforts to keep pace with the latest environmental protection standards allow us various forms of accreditation from internationally reputed institutions. Our customers profit from the use of certified plastics which lead to a valuable contribution to the protection of our environment. Polymerwerkstatt works with the systems of recognised OEMs (original equipment manufacturers) like IMDS and UL and is fully compliant with health-related requirements stipulated by organisations like the FDA. In the interest of protecting human life and the environment, Polymerwerkstatt also observes ECHA regulations and guidelines pertaining to the handling of chemicals.